Peggy Green’s organic fertilizer for vegetable gardens is a super organic mineral plant food formulation. 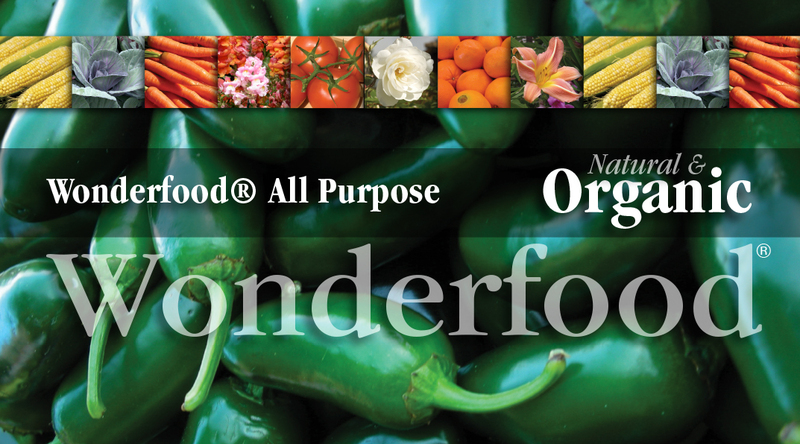 It is the Wonderfood® for plants that puts the missing minerals back in the soil, and acts like vitamins for plants. With Peggy Green organic fertilizer for vegetable gardens, you will give all your plants and garden the essential nutrients they need. Grow everything healthier with organic fertilizer for vegetable gardens from Peggy Green. 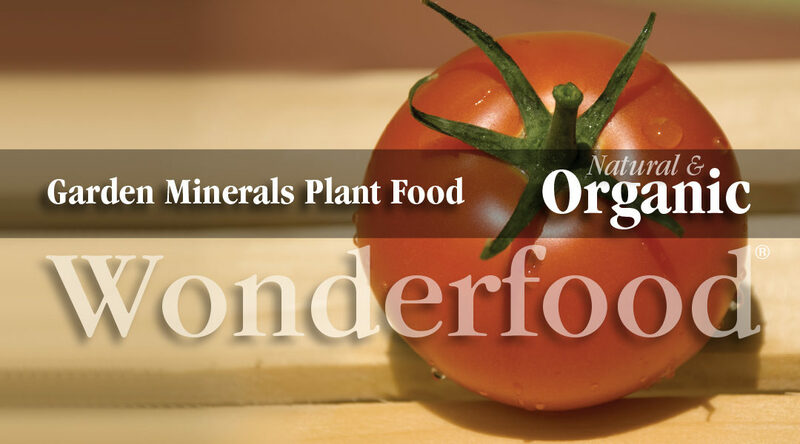 Organic fertilizer and plant food that’s like a SUPER MULTI-VITAMIN for plants. Packed with a powerful concentration of essential elements, each organic plant food and fertilizer product stimulates nutrients, enzymes, increase microbial action, and promotes good health in vegetable gardens. AND with Peggy Green’s patented organic sucrate minerals, there is never a worry about plant burn. This organic fertilizer for vegetable gardens is perfect for indoor or outdoor use, in pots, containers, raised beds or any type of garden. Never any synthetic chemicals. No pesticides. No runoff. Safe for children, pets, and the whole family. You love your lawn. You love your garden. But you love your children and pets more. That is why Peggy Green offers the finest, safe, all natural and organic mineral plant food and fertilizers available for vegetable gardens. No synthetic chemicals. No heavy metals. No polymer coatings. No synthetic anythings. You can trust that the flowers or food you grow will be grown the way that nature intended it. And the lawn you walk, sit or play on is safe for children and pets. Organic fertilizer and plant food for vegetable gardens that’s easy to use. No mixing. No mess. No fuss. Organic tomato plant food from Peggy Green. Grow better tasting, highly nutritious tomatoes. Here’s an organic tomato plant food for your organic garden that’s a powerful concentration of essential elements. It’s a super mineral supplement. It stimulates nutrients, enzymes, promotes good health, and will not burn. And, because Garden Minerals uses our PATENTED, NON BURNING sucrate minerals, it makes this tomato plant food perfect for pots and containers. Tomato plants thrive on Peggy Green’s Garden Minerals organic tomato plant food. Use as part of a regular maintenance program in your garden. Grow bigger, healthier, tastier, more nutritious tomatoes with Garden Minerals. It’s like giving vitamins to your plants! Never any fillers, synthetic chemicals or pesticides. Garden Minerals organic tomato plant food naturally helps fight disease, mold, fungus and insects. AND, because there are no synthetic chemicals or pesticides, it is completely safe for children and pets. You get peace of mind with a product that doesn’t put any harmful things in the soil. Good for plants, Good for the earth. Good for you. Your food is only as good as the soil it is in. Minerals are the “spark plugs” of the soil which “jump start” the other nutrients and make them available to the plant. Cutting back on an organic tomato plant food that doesn’t have these necessary essential minerals, or using a synthetic Nitrogen and Phosphorus fertilizer, can end up having long term effects on the soil and your plant’s health. All of Peggy Green’s PATENTED organic mineral formulations help to replenish the soil, produce higher yields of higher quality, greater plant growth, healthier herbs, fruits, vegetables, flowers and ornamentals, and provide YOU with the minerals you need to stay healthy.